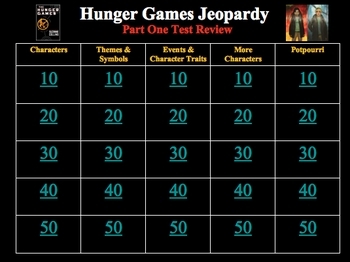 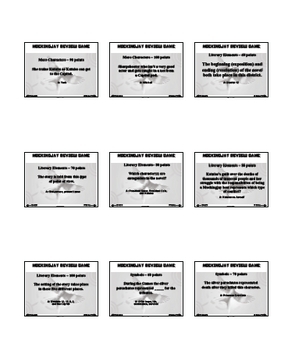 This is a collection of ALL of my Hunger Games, Catching Fire, and Mockingjay Powerpoint Jeopardy-style review games in one bundle. 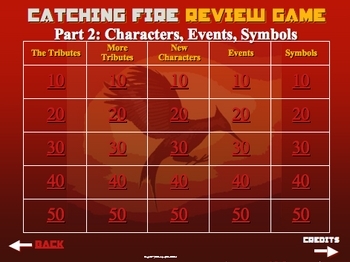 Over 225 questions, ranging from characters, events, symbols, quotes, and more. 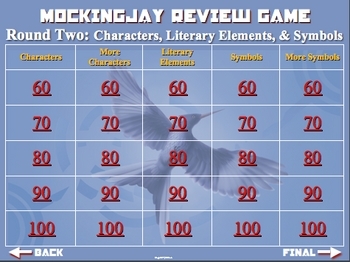 The popular trilogy, written by Suzanne Collins and published by Scholastic, is being taught in classrooms around the world.